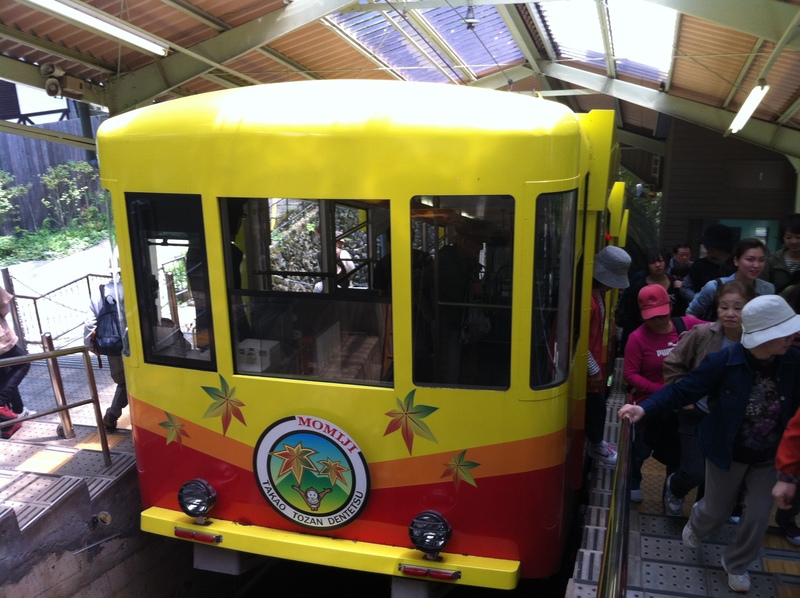 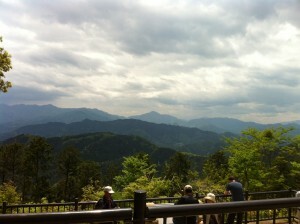 Friday May 11th took me to Mount Takao, a site of natural beauty on the outskirts of western Tokyo. 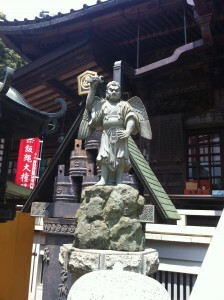 Mount Takao is a sacred site closely associated with the Tengu – fearsome winged humanoids from Japanese mythology. 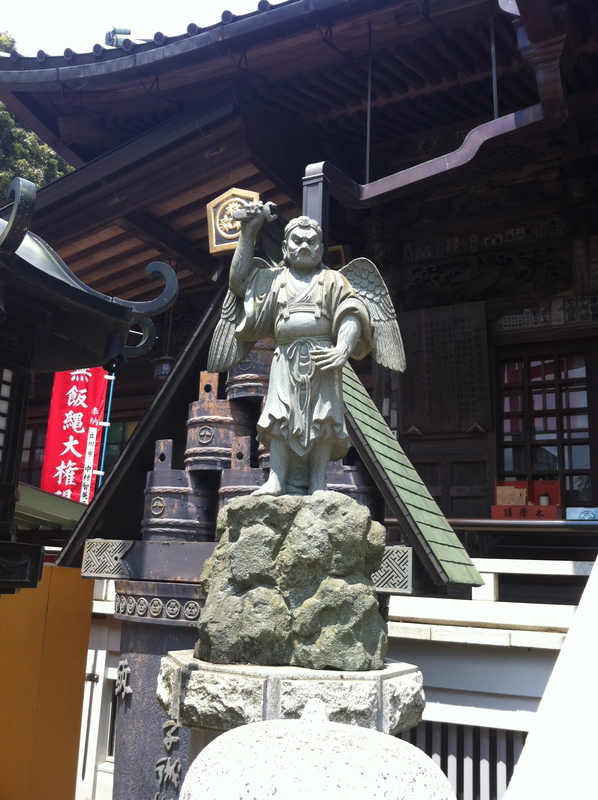 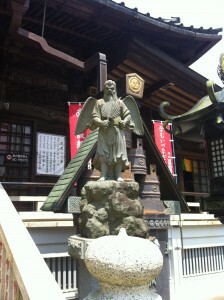 Near the summit, the ancient Buddhist temple Takaosan Yakuoin Yukiji contains many stone images of the Tengu guarding its hallowed halls and pathways. Needless to say, Mount Takao appears as a location in the forthcoming YA Urban Fantasy trilogy “Sword, Mirror, Jewel” – which features terrifying encounters with creatures from Japanese legend!